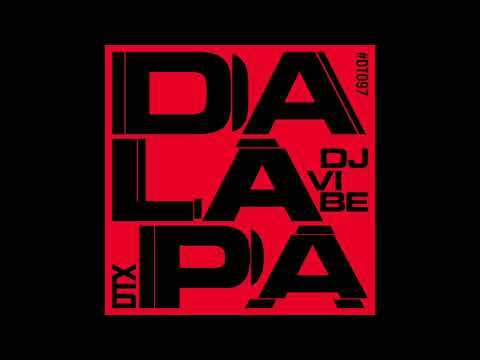 Coming off the fresh release of Oma Nata’s LP The Discovery, Portuguese imprint Discotexas have now turned their well-trained ears to DJ Vibe for a three-track EP titled Da Lapa. Considered by many as the the most sought after and well known of the Portuguese DJ’s, DJ Vibe has been involved in the launch of the most important clubs both at home and Internationally, including a ten year residency at Lisbon’s Lux Frágil, coinciding with his involvement in the Acid House explosion taking place in London at the time. For his debut on Discotexas, DJ Vibe has put together a release that’s packed with a stellar selection of house tunes that really showcases the rich history of dance music he hails from. One of those tracks happens to be “We Can,” which is a song that centers itself around a deep, tribal feel that’s drenched in percussion, echoing claps and reverb-soaked melodic lines. Staying true to his name, DJ Vibe manages to create quite “the vibe” with this one, putting together an original that has future anthem written all over it! Da Lapa is set to come out later this week on April 5th. Make sure to get your copy here.